One of the elements that is indispensable in Bio Nova’s line of liquid mineral fertilizers is magnesium. This product contains: 0.36% Fe (iron HEEDTA); 0.08% Mn (manganese EDTA); 0.4% Bo (boron monohydrate); 0.09% Zn (zinc EDTA) and 0.06% Mo (sodium molybdate). Trace elements are very small amounts of various elements, which are indispensable for a great number of biological processes. A deficiency of such elements immediately manifests itself in the malfunctioning of a great number of the plant’s functions, eventually resulting into all sorts of deficiencies and ultimately the dying off of the plant. A deficiency of trace elements always manifests itself in the young leaves because the trace elements can no longer be transported within the plant. 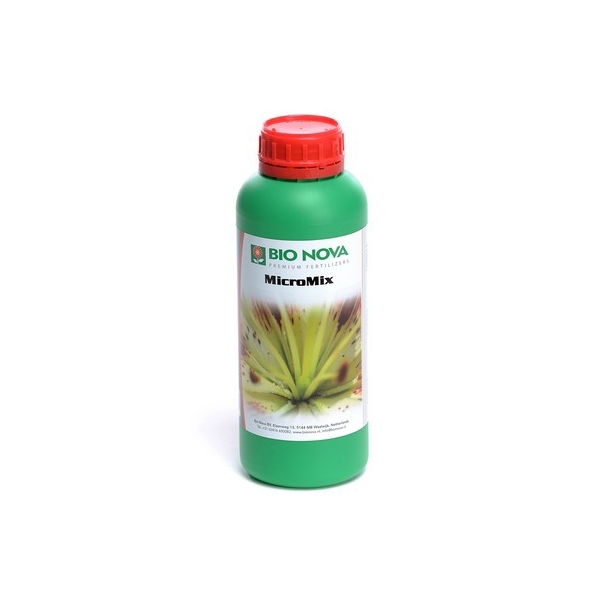 This trace elements-mix should be used in order to solve deficiencies or as a basis for a complete nutrient solution.